An active shooter is said to be at large at YouTube HQ in San Bruno, just outside San Francisco. A large police response is on scene, and employees are barricading themselves inside the building. Police received multiple reports of gunshots, no further information is available at this time. 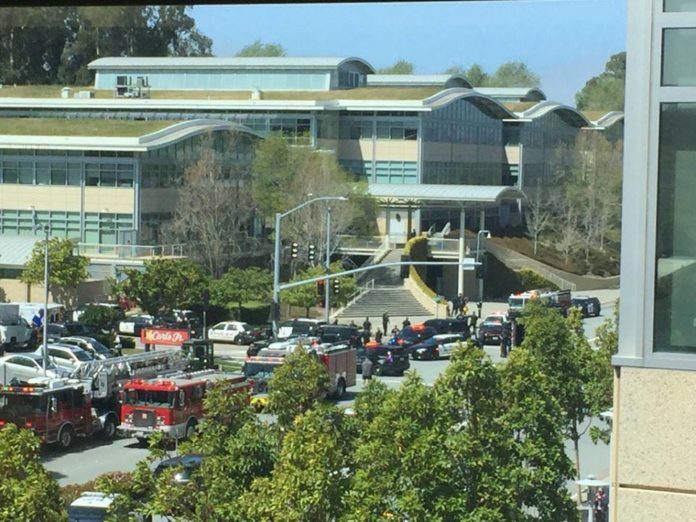 “Police have confirmed an active shooter at YouTube headquarters in San Bruno Tuesday afternoon. The shooting appears to have happened in an outdoor cafe on the grounds of the facility. Police were seen laying down evidence markers near the seating area of the cafe. People near the area reported hearing shots fired, police activity and lockdown procedures.